I pretty much religiously watch The Pioneer Woman on Saturday mornings on Food Network – I just love her and her family and her recipes make me drool – and last week she made these Crazy Brownies – and I am thinking that Crazy really is the right word for them! It’s a densely fudgy scratch made brownie with a layer of amazingness in the middle – in the form of Reese’s Peanut Butter Cups, Rolos, pecans, and M&M’s. 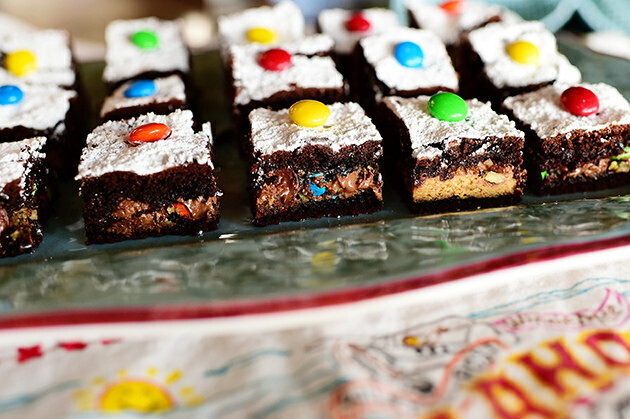 Oh, and then they are topped with powdered sugar and some more decorative M&M’s for extra added insanity. When I saw her make these, I knew they would be in my immediate future as well – or, well, some variation of them anyway. 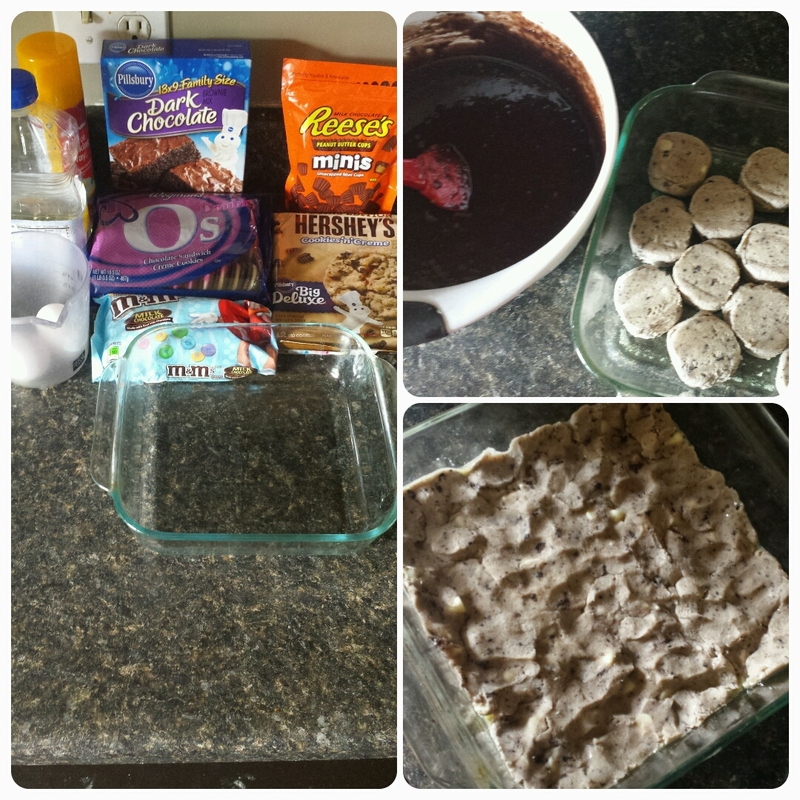 I kept the basic formula for the slutty brownie the same – cookies on the bottom and brownies on top – but the middle is where I incorporated some of the Pioneer Woman’s “Crazy-ness” – I have packed oreos, mini peanut butter cups, and M&M’s in there – yum! 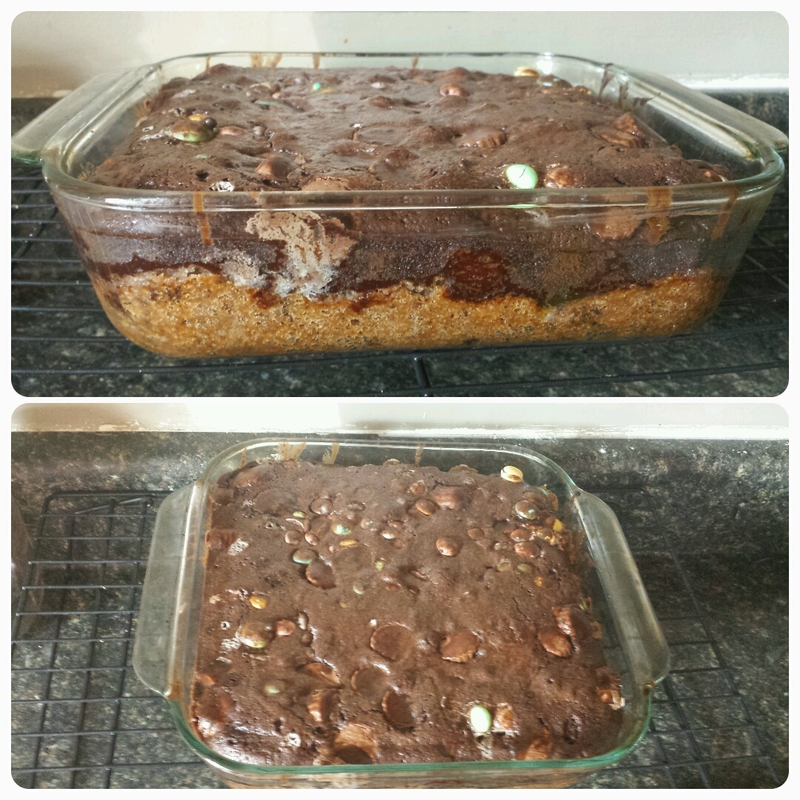 Slid this creation in to the oven at 350 degrees for about 45 minutes (until the brownie portion was set and no longer jiggly) and voila! A cross section of the finished product – you can see the distinct cookie and brownie layers, and then that beautiful oreo in the middle! 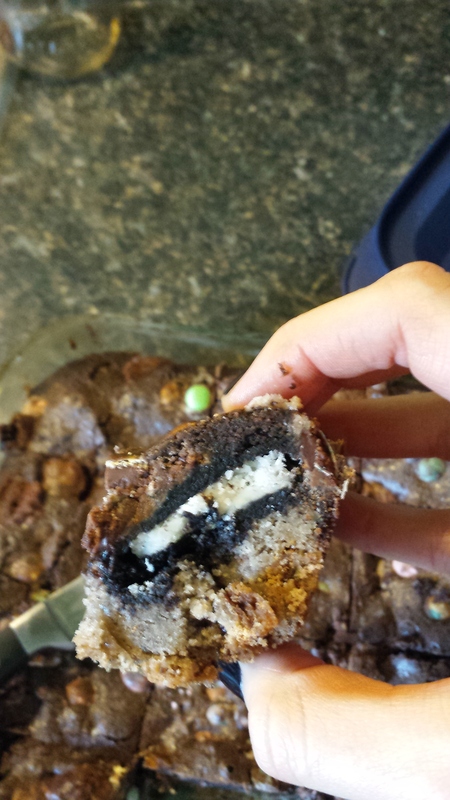 The candy is hard to see but trust me its there within that brownie layer! My husband was my guinea pig (as usual!) 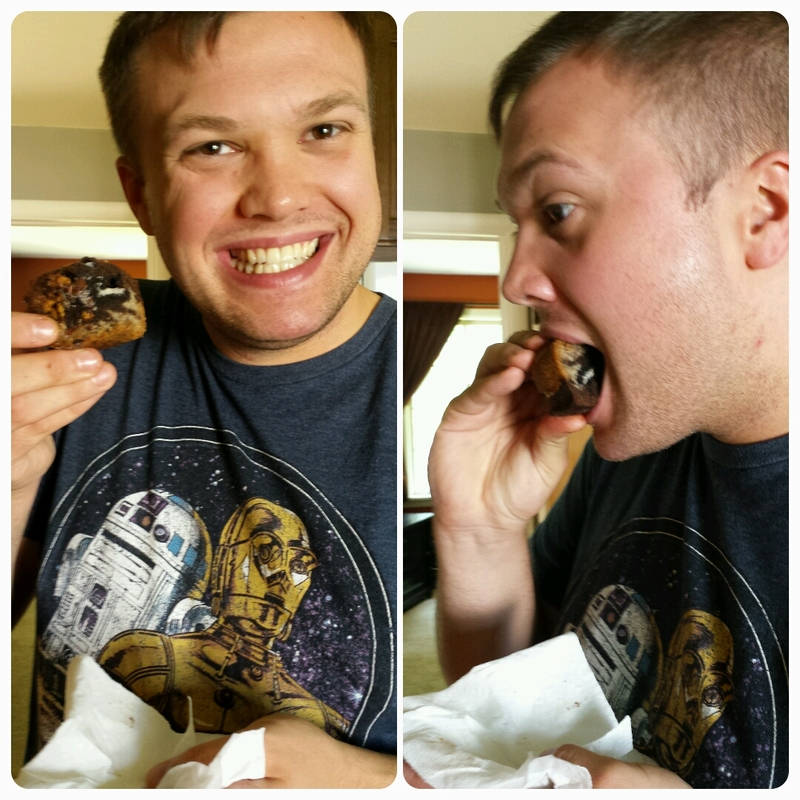 and we both really enjoyed these – the layers weren’t too crispy and had a nice softness to them, and the candy and oreo gave each bite a different delicious surprise! 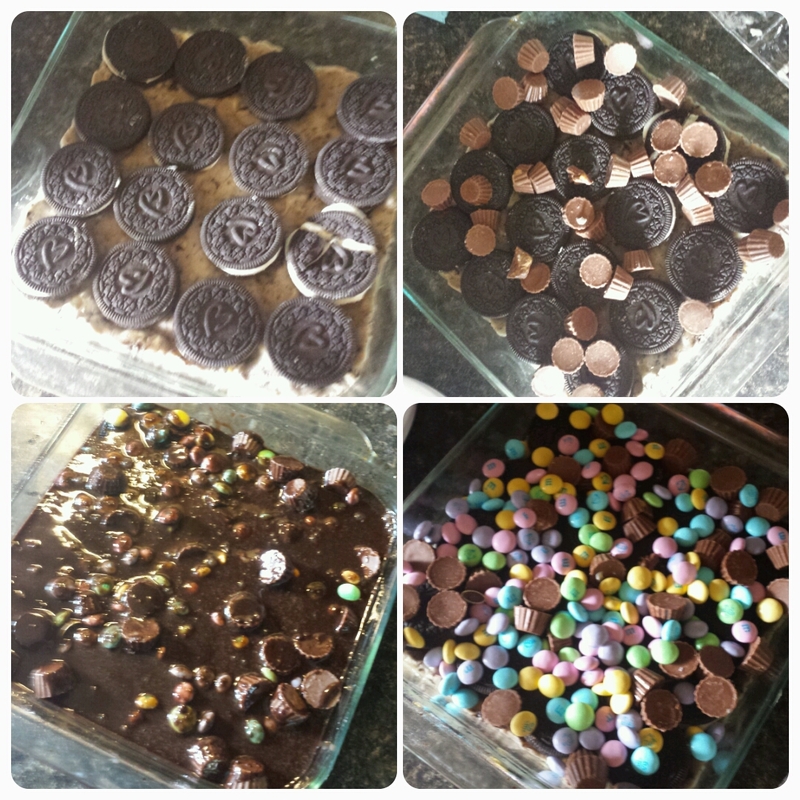 These are a hit, and super easy to make, all you need to have is cookie and brownie mixes, and some kind of Oreo/candy to put in the middle (items that most of us probably have on hand anyway), so it’s a great one to get creative with and customize to your exact likings. Oh – and don’t forget the milk to wash these down!